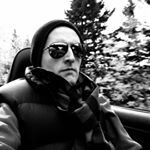 BMW doesn’t just sell more 3-Series sedans, coupes, and wagons than any other luxury automaker; BMW sells a lot more 3-Series luxury cars than any other luxury automaker. 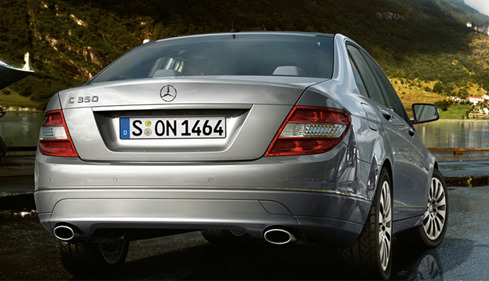 There have been months over the course of 2010 in which Mercedes-Benz put up a challenge with the C-Class. But then there have been months like August 2010, a month in which Mercedes-Benz would have needed BMW 3-Series sales to suffer a 63% drop just to match up. Not. Gonna. Happen. BMW 3-Series sales actually jumped 11% from August 2009’s totals. Mercedes-Benz C-Class sales fell 24.2% from August 2009 levels. The next closest rival, Audi’s A4, posted a 26.6% increase but was found 890 units behind the almighty BMW. Among smaller luxury cars, BMW’s lead isn’t so vast. Yet overtaking the BMW 1-Series wouldn’t be nearly as exciting. (Read: “B-Class, Mercedes-Benz” in the Graph below.) 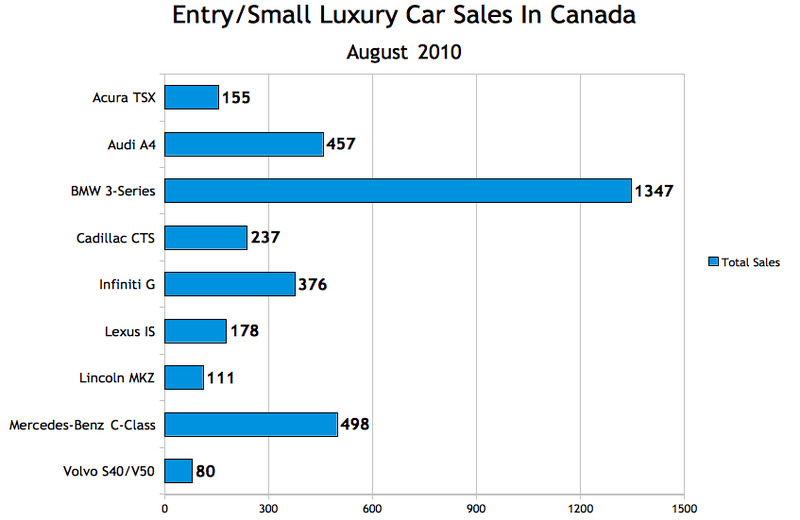 The volume put up by Compact Luxury Cars in both Canada and the USA barely shows up on the monthly Sales Stats roundup. Meanwhile, The Good Car Guy published an article this morning listing Britain’s Top 10 Best-Selling Cars from August 2010, and the Audi A3 was in tenth spot. GoodCarBadCar.net is an official fan of the A3. But…. whaaaaa? The A3’s slice of the car market in Canada in August was 100 of 62,122. 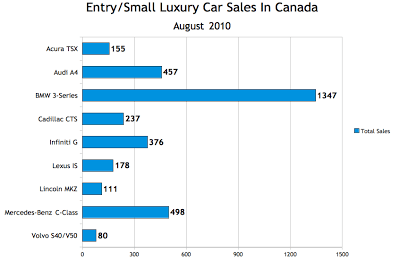 Even the far more successful BMW 1-Series (with sales falling 23% in August) barely incubates recognition in Canada. 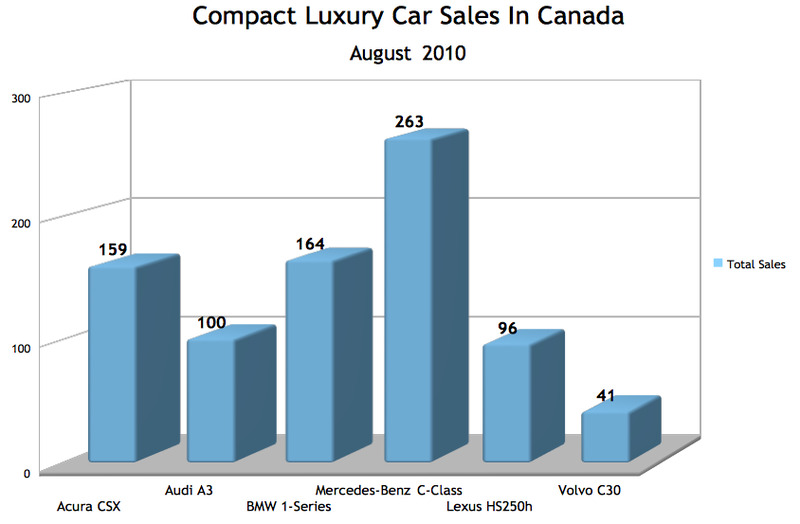 However you interpret luxury car sales in Canada, base your interpretations on the details from the Graphs below.